With a CV that includes The Fat Duck, Quay, Eleven Madison Park and Maaemo in Oslo, Oli Marlow worked in some of the world’s best restaurants before returning to the UK and winning a Michelin star at Roganic. Clare Smyth may have grabbed all the Michelin headlines this year, but take a closer look, and you might see there was another big winner on the night – albeit one who avoided the limelight. With both Rogan & Co and Roganic scooping Michelin stars (along with L'Enclume's ex-head chef Mark Birchall winning a second star at the fantastic Moor Hall in Lancashire), Simon Rogan all but cemented his legacy as one of Britain’s most important and influential chefs. The UK boasts many superb chefs, but Simon’s work over the last few decades might just be the most significant. When he launched Roganic the first time around in 2011, he introduced true farm-to-fork fine dining in London – following his own lead at L’Enclume in Cumbria – and ushered in a philosophy that hundreds have tried to follow since. Roganic re-opened at the beginning of 2018 with Simon’s name on the door but a new face – Oli Marlow – in charge of the kitchen. 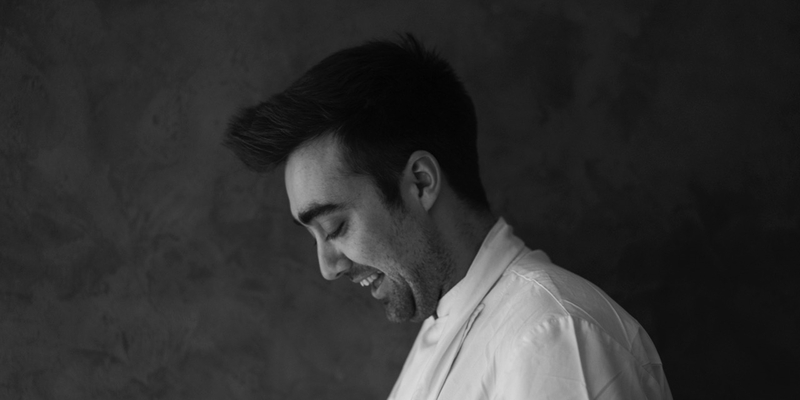 Eight months later, Oli was on stage at the Michelin awards, receiving a Michelin star. ‘We were definitely striving to get a star, but you can never expect it,’ says Oli. 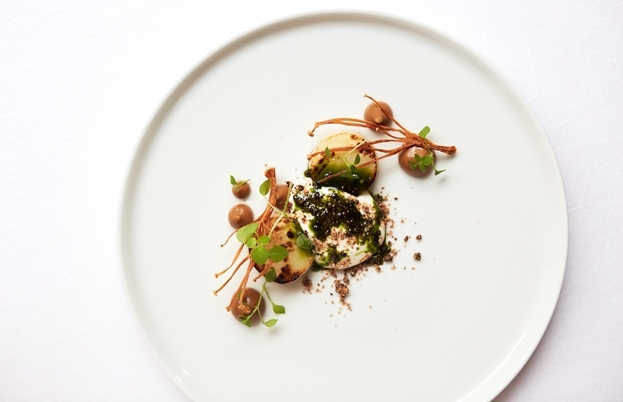 ‘It’s good to have the recognition – the Michelin Guide, the AA Guide, these are accolades that people respect.’ Roganic also came in at number twenty in the Good Food Guide, ahead of some very esteemed restaurants – Alain Ducasse at the Dorchester, Dinner by Heston Blumenthal, Midsummer House and Marcus, just to name a few. ‘All the guides look for different things – and you can’t always please everyone,’ Oli shrugs. Still, Roganic seems to be doing a fantastic job on all fronts thus far, especially for a restaurant with less than a year under its belt. 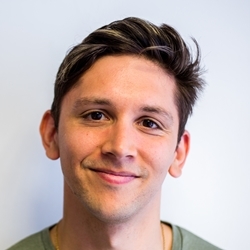 From there, Oli spent three years at college, learning the basics of cookery whilst apprenticing at the five star Chewton Glen in Hampshire, just south of the New Forest. ‘I was nineteen, and I thought I was the best thing,’ he laughs. ‘Then I went and staged at Le Manoir and The Fat Duck, and I realised I knew nothing! 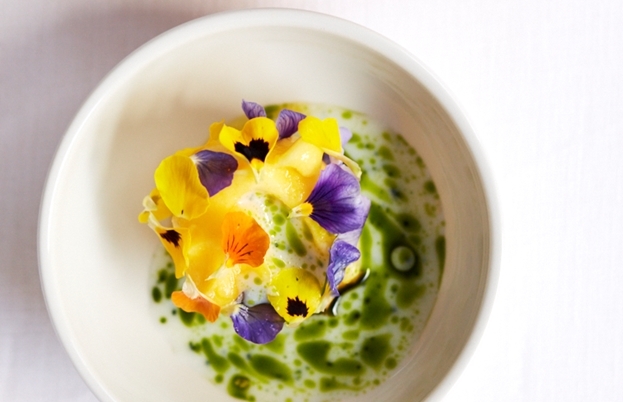 Roganic serves a variety of tasting menus, with two or three dishes changing every week. Oli devises new dishes with his sous chefs, depending entirely on what produce is arriving from Simon's farm that week. That phrase – ‘letting the produce speak for itself’ – is one we’ve heard many times before, but it makes sense at Roganic. The dishes are delicate, minimal, but absolutely packed full of flavour – a combination of intelligent cooking and outstanding ingredients. The menu simply gives you a hint of what’s to come, whetting the palate with ideas of the flavours involved – lamb belly, honey and capers, or celeriac, whey and garlic, for example – but some of Simon’s old favourites remain, like the grilled salad that has been so popular at L’Enclume for many years. ‘A lot of our recipe development is totally organic – ideas for new dishes will just pop into our heads,’ says Oli, ‘and then we’ll tweak them over time.’ They don’t always work out, he admits, but when you’re working with the best produce in the country, dishes rarely end in disaster – ‘they just don’t always reach the level that we want,’ he says. With one star in the bag after less than a year and a decade spent in three-starred establishments, it’s not surprising that Oli is pushing on for more. ‘You have to have a goal in any industry,’ he says. ‘At Eleven Madison Park, every single time we had a team meeting, Daniel (Humm) would say, “I want to be number one in the world.” It’s all he’d say. Everyone was working towards that goal.’ Sure enough, Eleven Madison Park won a third star after Oli left, and then became the number one restaurant in the world shortly after.